Lord Sakima is back. Coming from his Dark Summer EP to give us another five track project called the “Blood Moon EP.” It’s a dark, mellow, intimate spin through many subjects through the eyes of Sakima. Immediately from the get-go, the tone and vibe across the songs are all tightly knit and never stray’s too far away from the overall sound of the project. Totes provides relaxing and steady production as Sakima raps and shows his bravado rhyming off. He doesn’t let up over the two minutes and thirty, he’s letting you into his world and all that it entails. From the way his squad and himself move to the get their job done and make something of themselves with music and relationships. Ain’t Enough finds Sakima increasing the tempo and aggressiveness in his rapping complimented with the hook “It ain’t enough”. The production from meltycanon keep a ominous aura around the track as Sakima raps not being satisfied with where he’s at and what he has so he’s continuously pushing to reach levels of fame and comfort where he can finally relax. Know What I Mean has the honor of being the single for the album and it fits right into the themes and feel of the album. It’s dark, grounds Sakima with his clear wordplay and personal tales in his rapping. The production from Marcus Dominic allows him to get everything off his chest in a clear way that let’s you hear the beat and not get overwhelmed with Sakima as he doesn’t let up. It covers some range with him providing us some hype moments as the song continues, Sakima stunting with some verses, and maintaining his voice throughout the track. French Avenues is the slowest and most polarizing song out of the five tracks and the only track to have features. It’s a song that has submerged like vocals, Danger Incorporated and GwaiMak bring different touches that compliment the overall package. Sakima is calm and cooler, more R&B focused than previous songs given the slow sounding and calm flow of the song. It’s a interlude of sorts of a somewhat audible clip that’s not recognizable before Sakima returns to finish with quick verses. The song could’ve been chopped down in length because by the time he comes back it begins to overstay the welcome with the long wait of soaking in the production and seeing if you’re waiting for the next song or something more. The final song, Car Dealerships features Sakima’s spin on Calvin Harris song Slide through a sample and it’s performed by GwaiMak from the previous song. He adds to the flow and the type of energy you can add to a summertime track. It’s slower, more melodic, and fits into his range and what’s come before. At some points the sample and Gwai blend together but not enough to deter the song from how it sounds. Lord Sakima gives us a short burst of energy with his Blood Moon EP, it’s a look into his views and personal life across songs that strike the “short and sweet” nerve all the while never losing his way or his sound. 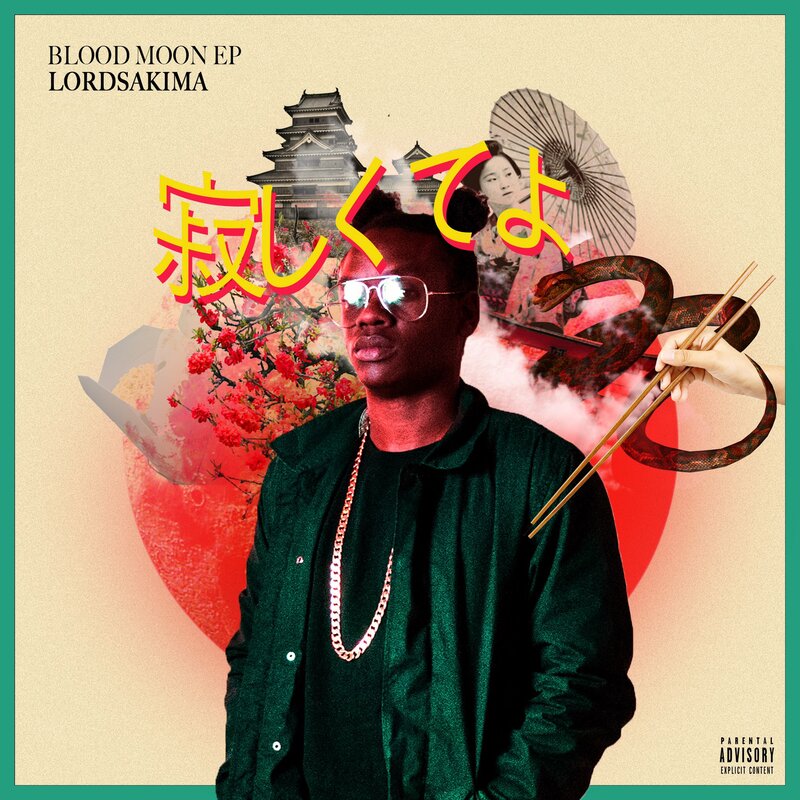 Blood Moon EP is a project that has room for improvement but Lord Sakima maintains his path for a successful project.